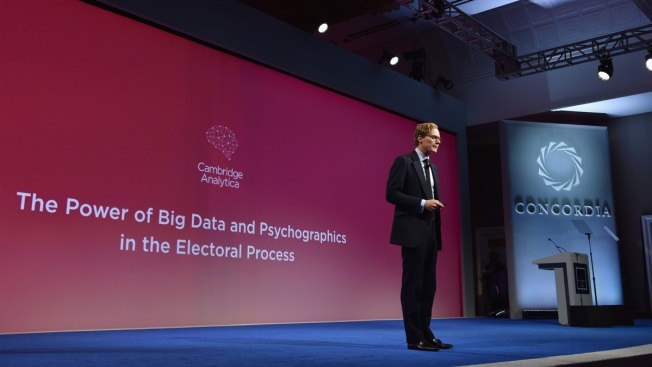 This Sept. 19, 2016, file photo shows CEO of Cambridge Analytica Alexander Nix speaking at the 2016 Concordia Summit in New York City. Facebook suspended Cambridge Analytica, a data-analysis firm that worked for President Donald Trump's 2016 campaign, over allegations that it held onto improperly obtained user data after telling Facebook it had deleted the information. The social network issued a blog post explaining its decision, although the tale is convoluted. Years ago, Facebook said, Cambridge Analytica received user data from a Facebook app that purported to be a psychological research tool, though the firm wasn't authorized to have that information. Roughly 270,000 people downloaded the app and shared their personal details with it, Facebook said. Cambridge Analytica later certified in 2015 that it had destroyed the information that it received, according to Facebook, although the social network said it received reports "several days ago" that not all the data was deleted. While it investigates the matter, Facebook has also suspended the access of Cambridge Analytica's parent company, Strategic Communication Laboratories; the academic who created the app in question, a University of Cambridge psychology professor named Aleksandr Kogan; and another individual, Christopher Wylie of Eunoia Technologies, who also allegedly received the user data from the app. President Trump may not testify in the Russia investigation according to sources close to his attorneys. The New York Times reports President Trump's lawyers do not want him to sit down for an interview with special counsel Robert Mueller. Meanwhile, the House Committee has agreed to release the Democrats' counter-version of the GOP's FBI memo, but Trump has final say on whether this second memo goes public. Exactly why the handling of this data warranted both suspension and Facebook's unusual public explanation of the move wasn't clear. The blog post, written by Facebook deputy general counsel Paul Grewal, cited the "public prominence" of Cambridge Analytica, called the alleged data retention an "unacceptable violation of trust" and said the social network will take legal action if necessary to hold all parties "responsible and accountable for any unlawful behavior." In a statement, a Cambridge Analytica spokesman denied any wrongdoing. He said the parent company's SCL Elections unit hired Kogan to undertake "a large scale research project in the U.S.," but later learned that he had obtained data in violation of Facebook policies, and subsequently deleted all data it received from Kogan's company. For the "avoidance of doubt," the spokesman said, none of Kogan's data was used in Cambridge Analytica's 2016 election work. Kogan did not immediately reply to an emailed request for comment. Wylie could not immediately be located. Cambridge Analytica is probably best known for its political work in the 2016 U.S. presidential campaign. The company claims to build psychological profiles based on personal details from millions of Americans that can categorize individual voters. It worked for both the primary campaign of Texas senator Ted Cruz and the Trump general-election campaign . The firm is backed by the family of billionaire donor Robert Mercer, a hedge fund manager who also supported the Trump campaign and other conservative candidates and causes. 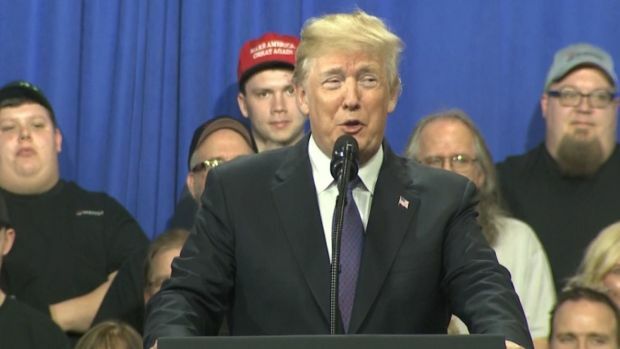 Trump campaign officials have downplayed Cambridge Analytica's role, saying they briefly used the company for television advertising and paid some of its most skilled data employees. But the company has also surfaced a few times during the probes into Russian interference in the 2016 election. For instance, Trump's former national security adviser Michael Flynn, who is now cooperating with special counsel Robert Mueller's investigation after pleading guilty to a felony charge, disclosed an advisory role with Cambridge Analytica last August. SCL later said that position never materialized. The memo is a critique of the FBI's application for surveillance amidst the Russia Probe. Cambridge Analytica CEO Alexander Nix also disclosed last November that the company reached out to WikiLeaks founder Julian Assange during the campaign to request emails related to the Hillary Clinton campaign. Nix said Assange said no. Clinton campaign emails stolen by Russian agents are one focus of the election-interference probes. Nix has denied any involvement in Russian election meddling.